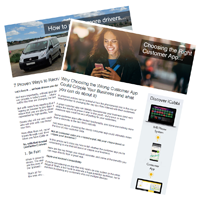 Mercury Taxi Software was created and developed by Exel Technology Group Ltd, and earnt a reputation for excellence that created a large and loyal customer base within the UK taxi industry. Whilst we still provide support for all our Mercury Taxi Software clients, Exel are now an exclusive reseller of iCabbi, and are proud to sell and support the iCabbi cloud-based dispatch system in the UK. Many Mercury users have already upgraded to iCabbi and have experienced first-hand the exciting potential of a fully cloud-based dispatch system. For more information about iCabbi call 01623 44 22 11 or email enquiries@iCabbiUK.co.uk. 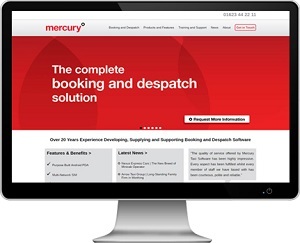 For support or questions about Mercury Taxi Software please call 01623 44 22 11 or email info@mercurytaxisoftware.co.uk. “iCabbi has a lot of great features, especially the DiSC telephone system, the app and the web booking system. And with the web booking and app booking system, bookings coming straight to us and onto the iCabbi system. One very big plus point is having an app for customers, as well as the web booker. It is pushing up bookings because younger customers want the app and we can now tell them that we have an app. It makes things a lot easier for us.